Since 2015, Essex Bat Group has been conducting acoustic surveys in churches across Essex using static ultrasonic recording equipment. It is known as the Remote Roost Monitoring Project (RRMP) and to date, 33 churches have been surveyed. Old churches are important to bats, providing roost sites for most of our species, from small roosts for lone males to maternity sites for mothers and their young and undisturbed hibernation sites. 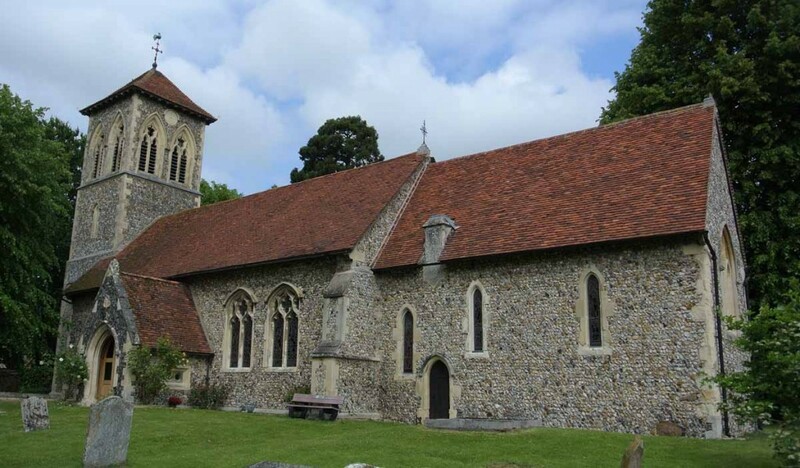 A typical old church offers numerous potential roost sites, including shallow but extensive spaces beneath roof tiles, voids at joints of structural timbers, enclosed roof spaces, holes in walls and even gaps behind notice boards. Advising church authorities on repairs and other work which may affect bat roosts is a large part of the voluntary work carried out in Essex by licensed surveyors as part of the Voluntary Bat Roost Visitor service provided by Natural England. The surveys undertaken as part of this scheme are usually one-off surveys carried out by day to search for evidence of the presence of roosts, such as bat droppings, most of which are not reliably assigned to species. While this can yield sufficient information to advise on small-scale repair work, the resulting data is limited and rarely provides a full picture of bats’ use of churches. To add detail to our understanding, Essex Bat Group sought funding from Essex Recorders’ partnership to enable the purchase of a full spectrum static ultrasound detector for deployment in churches. This has enabled us to record bat activity over extended periods, with the detector left in place for up to a week at a time to automatically record bat echolocation and social calls inside churches. The Remote Roost Monitoring Project has already added significantly to our knowledge and has provided some interesting results and insights. Barbastelle records are of particular interest, as this is considered to be a scarce species. It was recorded flying within the nave and tower of a church in Uttlesford, with three more records from churchyards. The apparent discovery of ‘autumn swarming’ at a church crypt, also in Uttlesford, is highly significant as no confirmed swarming sites had previously been identified in Essex. This seasonal gathering of bats, generally involving Myotis species at hibernation sites, is much studied elsewhere but little understood. The project has achieved a good geographical coverage within the county and has been successful in gathering information which can be used in assessing the potential impacts of repair work. Essex Bat Group already has a good relationship with the local diocese of the Church of England and is consulted on planned works. However, the new project has served to broaden the group’s involvement with churches and the people who use and take care of them, without whose co-operation the project would not be possible. As is often the case with studying bats, the results to date have yielded more questions than answers, while providing some useful leads for future research. We are very grateful to Essex Recorders’ partnership for funding the purchase of equipment for this project, namely a Wildlife Acoustics SM3 full spectrum static detector. We are also grateful for the co-operation of participating churches, including clergy, wardens and parochial council members. In 2017, the Heritage Lottery Fund approved first stage funding for a 5-year “Bats in Churches” partnership project including Natural England, the Church of England, the Bat Conservation Trust, Historic England and the Churches Conservation Trust. The project aims to: trial and perfect new techniques to enable bats and church congregations to live together; build up professional expertise and volunteer skill; bring together church communities and bat enthusiasts. Essex Bat Group has been pleased to provide the Bats in Churches (BiC) project with a supporting letter and advice as it sought confirmation of its full project funding, which we are pleased to say has recently been awarded. A number of churches in Essex are planned to form part of the BiC project. Some of these have already been the subject of Bat Group surveys, including surveys with the static acoustic detector. For the 2018 season, it was agreed to include further Essex BiC churches in our RRMP surveys, in order to provide additional contextual information on bat use of those churches ahead of activities that the BiC project plans to undertake, starting in 2019. These activities will include public ‘bat evenings’, including talks and bat watches, at the churches participating in the project. if you are interested in taking part in BiC project activities, or in helping with surveys of churches, please contact us.